Stop Foodborne Illness – Are You Eating Raw Cookie Dough or Making 9 Other Risky Food Safety Mistakes? 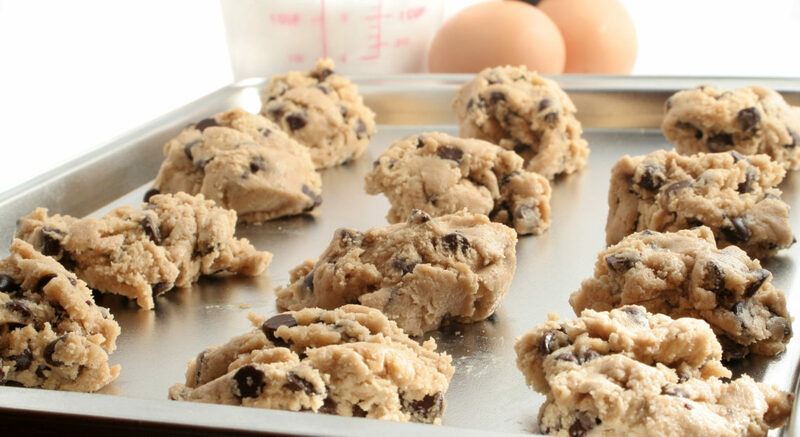 Are You Eating Raw Cookie Dough or Making 9 Other Risky Food Safety Mistakes? Preventing foodborne illness is something we know you care about. Yet, when you stop and think about it, there are probably some simple food safety practices you’re not doing right now. And these important practices can make all the difference in steering clear of a painful—and potentially life-threatening—illness that’s caused by contaminated food. We know you’ve likely seen us write about these a lot in the past. But they’re definitely worth repeating! Because even if you make a commitment TODAY to stop making just ONE of these mistakes, you’ll be better armed against the foodborne illness battle. So, let’s dig in to 10 of the most perilous food safety mistakes you should ALWAYS avoid making. These food safety mistakes are EASY to avoid! Why is this important? Because germs on your hands can (and often do) contaminate the food you eat. In fact, research shows this food safety mistake causes most foodborne illnesses. What you need to do: Wash your hands properly (for at least 20 seconds with soap and water) before and after handling food. Why is this important? Because the only time cooked food is safe to eat is when it’s been cooked to a high enough temperature to kill potentially harmful bacteria like Salmonella, Listeria, and E. coli. What you need to do: Check our safe food temperatures chart and always cook your food to these minimum safe temps. Would you like one of our new safe temps magnets? Get in touch with Stanley Rutledge, Community Coordinator, at srutledge@stopfoodborneillness.org. Why is this important? Germs can multiply extremely rapidly in food when left at room temperatures (the “Danger Zone” is between 40°F and 140°F). What you need to do: When thawing your food, do it via these three safe methods: In the refrigerator, in the microwave, or in cold water. Learn more here. Why is this important? Because even if your food tastes good—or smells/looks good—harmful bacteria could still be lurking in it. Tasting just a small amount of contaminated food can cause a serious foodborne illness. What you need to do: Toss out food before bacteria begins to grow. Check out safe food storage times here. Why is this important? Because if you handle/prepare raw meat/poultry/seafood and those foods come in contact with cooked/prepared foods, bacteria can transfer from the raw foods to the cooked foods you’re about to eat. What you need to do: Always separate raw meat, poultry, and seafood from other foods (vegetables, fruits, salads, etc.) when preparing or refrigerating them. Be sure to use separate equipment and utensils like knives/cutting boards for raw meat/poultry/seafood. And when storing raw food, use containers to avoid contact with prepared foods. Learn more here. Why is this important? Because when foods are sitting out on a countertop or outside for long periods, the warm temperature is a breeding ground for harmful bacteria. What you need to do: Refrigerate or freeze your leftovers within TWO hours to prevent growth of bacteria. If the temperature is 90°F or more and your food has been sitting out, refrigerate or freeze it within ONE hour. More information here. Why is this important? Cookie dough is meant to be cooked first so that it’s safe to eat. This is because some of the ingredients in it (i.e., flour and eggs) can contain harmful germs like E. coli and Salmonella when eaten raw. So, just say NO when it comes to eating raw cookie dough. What you need to do: Bake your cookie dough to a safe temperature before you enjoy those delicious cookies you’re making. Learn more here. Why is this important? Your kitchen is a busy germ factory with bacteria lurking around every corner. Nasty germs are especially plentiful on dish rags/towels and sponges that have been used for too long before getting washed or replaced. What you need to do: For towels/rags hanging in the kitchen, allow them to thoroughly dry after use; change out towels/rags at least once per week; wash dirty towels/rags in hot water and dry them on high heat; and, after washing your hands, use a separate hand towel (not a dish towel) to dry your hands—or, better yet, reach for a single-use paper towel. Learn more here. Why is this important? Bacteria that causes foodborne illness can start growing in perishable foods within two hours. Leaving food out at room temperature before refrigerating/freezing it encourages bacteria to thrive. What you need to do: Refrigerate or freeze perishable foods within TWO hours after preparing/cooking them or within ONE hour if the temp is over 90˚F. Why is this important? When you wash raw meats or poultry before cooking, bacteria from those foods can spread to your sink, countertops, utensils, and other foods. It’s common to think that washing these foods before cooking helps remove the bacteria; however, some bacteria are so tightly attached that they cannot be removed with even vigorous washing. What you need to do: Never wash meats or poultry before cooking. Cook meats and poultry to a safe internal temperature.